John P. Hayes, PhD, has been a franchisee, a franchisor, and for more than 30 years an advisor to franchise companies internationally. He is a popular speaker at franchise expos, and is the best-selling author of numerous books about franchising. Dr. Hayes is the Titus Professor for Franchise Leadership, Director of the Titus Center for Franchising, and Professor of Marketing and Journalism at Palm Beach Atlantic University in West Palm Beach, Florida. Students who study with Dr. Hayes earn a Concentration in Franchising. He was the President & CEO of HomeVestors of America, Inc., a major real estate investment franchise. He served as a member of the Board of Directors of The Dwyer Group, at the time a publicly-traded franchise conglomerate. His A to Zs of Buying a Franchise is the most popular seminar every year at the International Franchise Expo in New York City. The Titus Center for Franchising hosts numerous events and seminars annually that are open to the public. 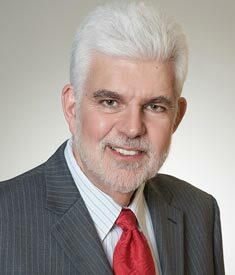 Learn more about Dr. Hayes and the Titus Center at http://www.pba.edu/titus-center.